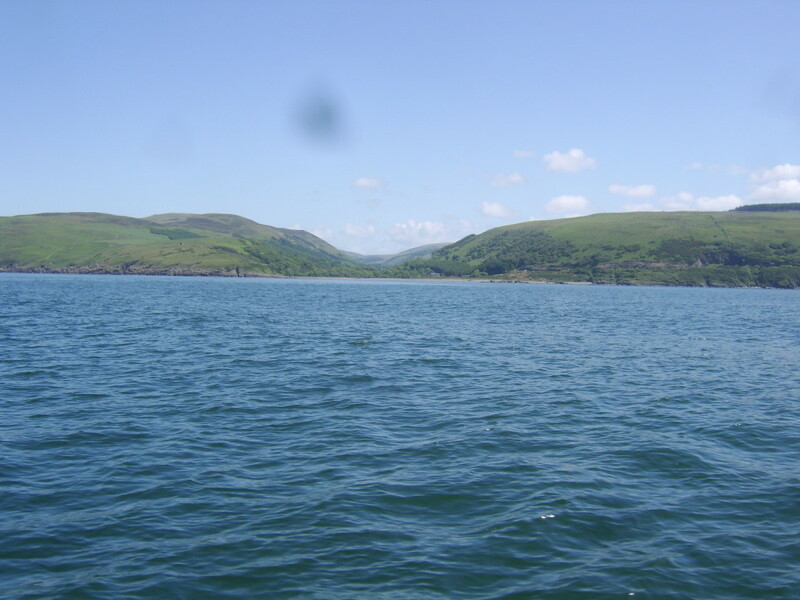 Loch Ryan in South-West Scotland is perhaps best known by many people for the ferry terminal at Cairnryan, which is the main terminal for ferries operating between Scotland and Northern Ireland. 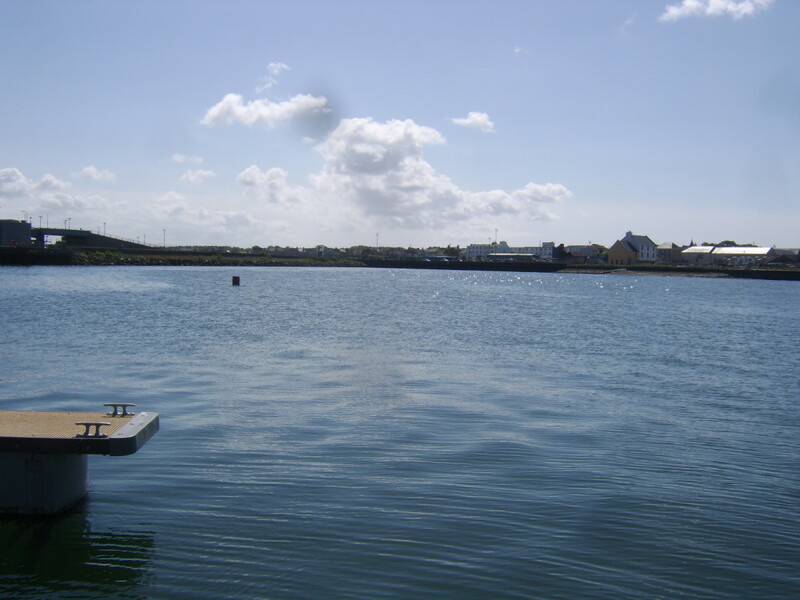 The loch is also, however, frequented by fishermen, with fishing popular from both shore and boat. 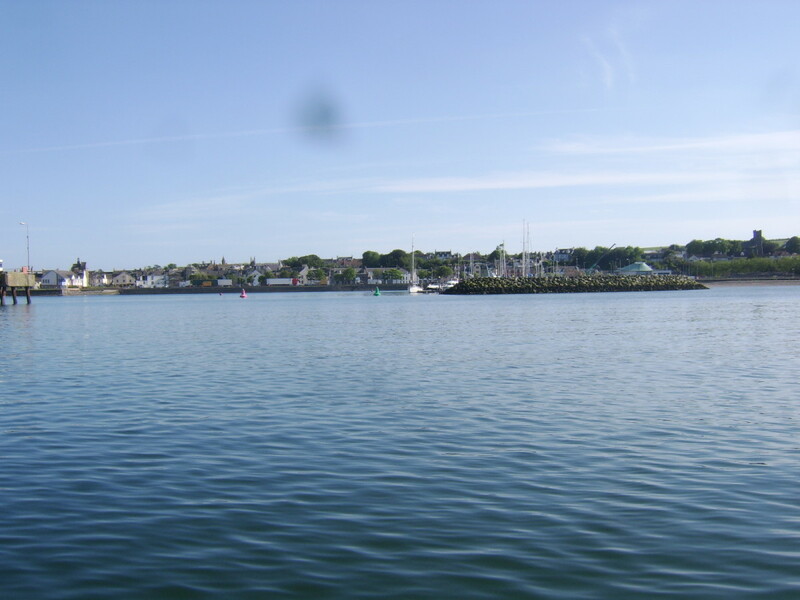 The town of Stranraer, right at the head of the loch, is where the charter boat for this fishing trip was boarded and a wonderful, enjoyable and successful day's fishing was had by all on board. 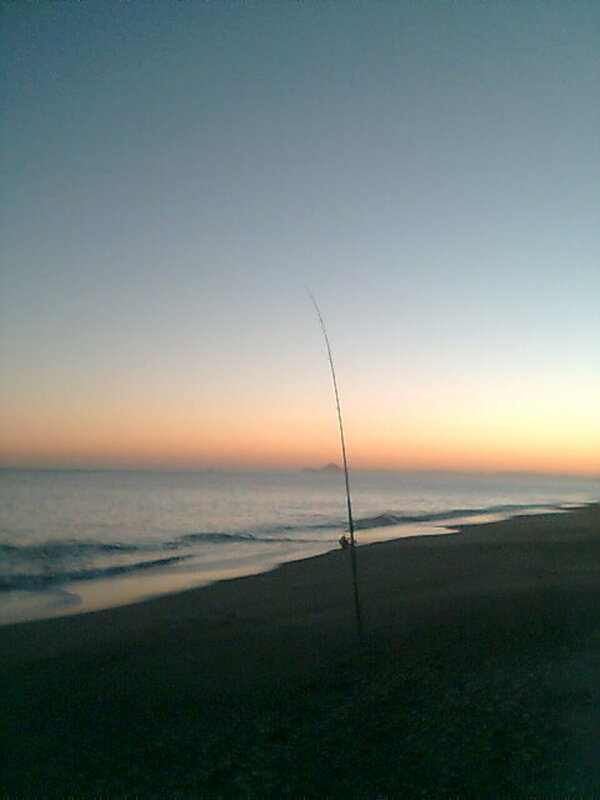 This trip took place on Wednesday, 19th June, 2013 and all travel, contact and fishing information is accurate as of that date. Whereabouts in Scotland is Stranraer? Stranraer is in the extreme south-west of Scotland, considerably closer as the crow flies to Belfast in Northern Ireland than either Glasgow or Edinburgh. It is best reached from Glasgow by taking firstly the M77 from Junction 21 or 22 of the M8 (signposted Kilmarnock and Prestwick Airport), followed by the A77, by-passing the town of Ayr and passing through the town of Girvan. 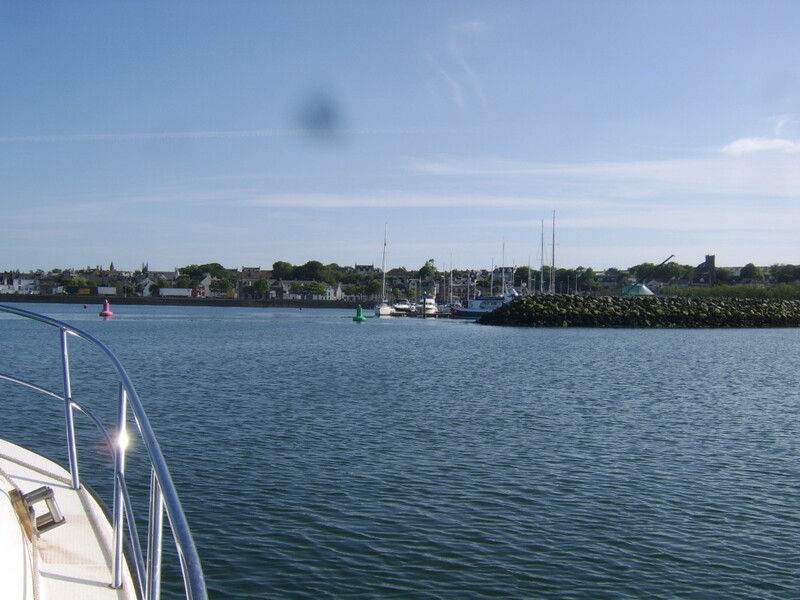 This trip was taken aboard the charter boat Diva out of Stranraer Harbour. 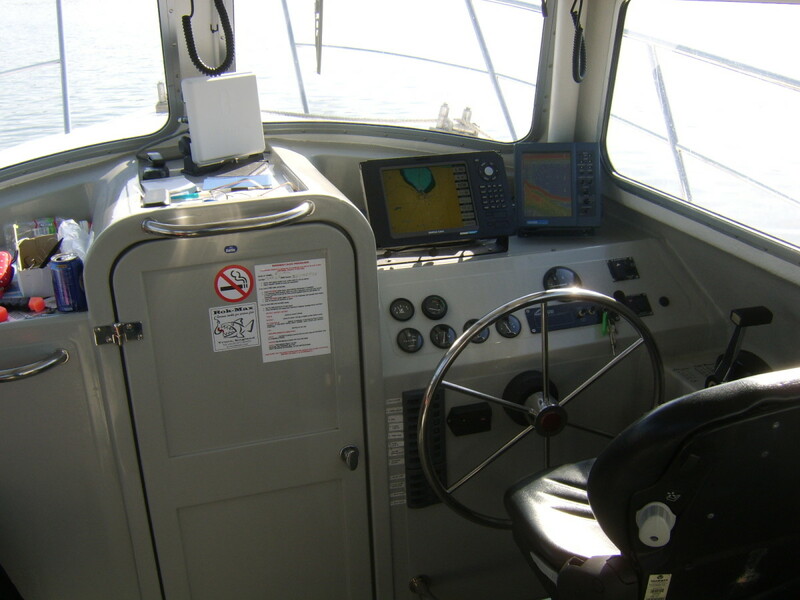 This is a modern boat with all necessary electronic equipment and is licensed to carry ten anglers at any one time. On this trip there were seven of us and that was comfortable but to be honest, ten may be a bit of a squeeze. You may find that eight would be your upper comfort limit and it would be worth paying that little bit extra per person to limit the bodies to that number. Mike the skipper was extremely friendly and helpful, knowledgeable about the best local fishing marks and even consented to be designated scorekeeper for the competition that was taking place among most of our party. He was also very understanding about us being almost an hour late due to our bus breaking down en route! Please note carefully that the vast majority of the fish caught on this trip - as on every one I undertake - were returned to the sea as unharmed as possible. Keeping a fish or two for the pot, or to satisfy bait requirements, is fine. Indiscriminate slaughter of fish for the sake of it, or taking more than you really need for the pot, should never be practiced or encouraged. 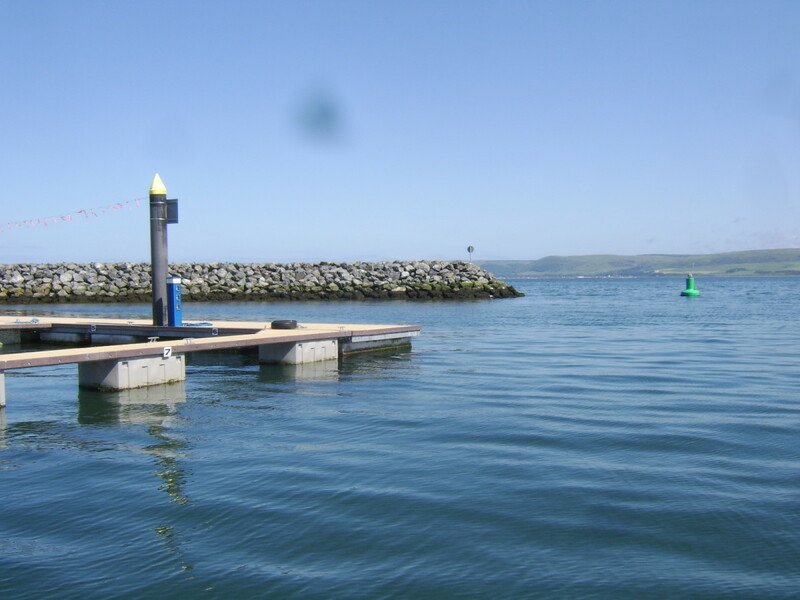 What Bait Should I Use to Fish Loch Ryan? As with any sea fishing venue, the best bait to use will depend on the time of year, the precise mark you are fishing and the species of fish you are targeting. 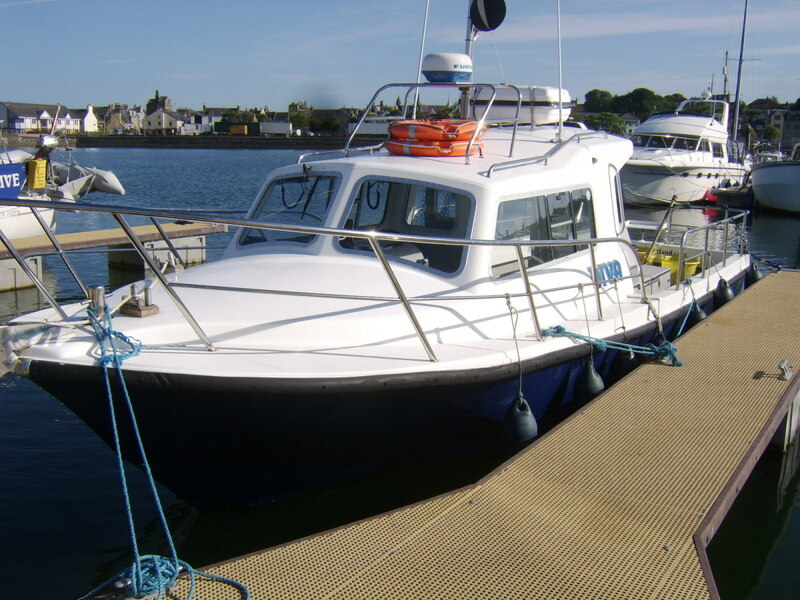 In this respect, it is always best to ask the skipper's advice at the time of booking the boat. 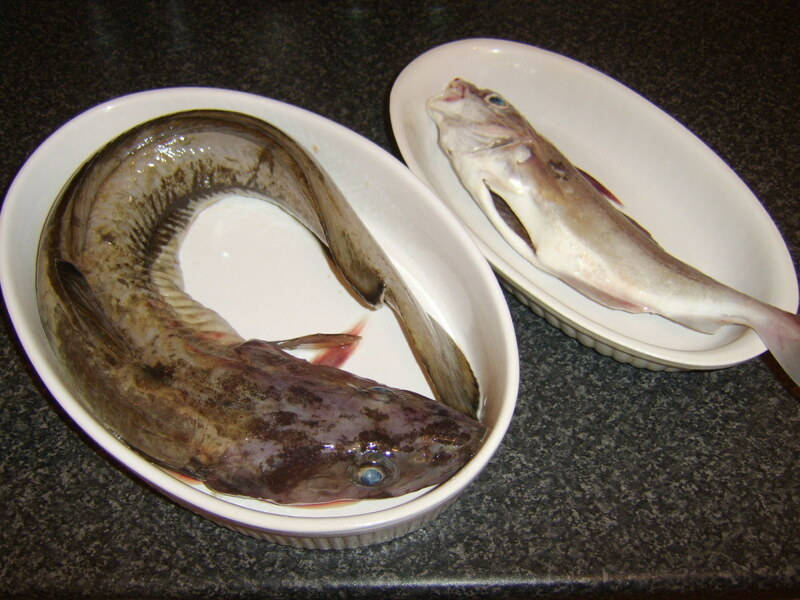 Between us, we took fresh and frozen mackerel, blueys, prawns (just because they were apparently on special offer in Tesco's! 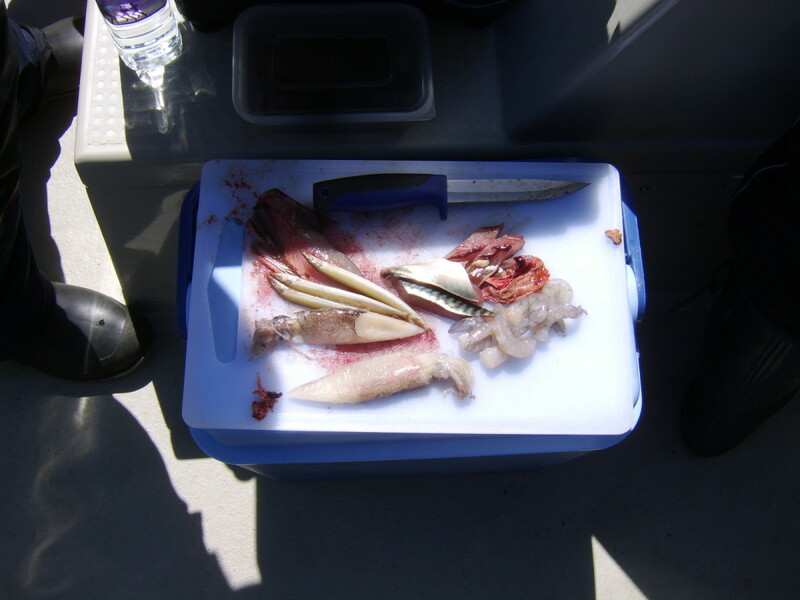 ), frozen calamari squid, frozen sandeels and freshly dug ragworm. 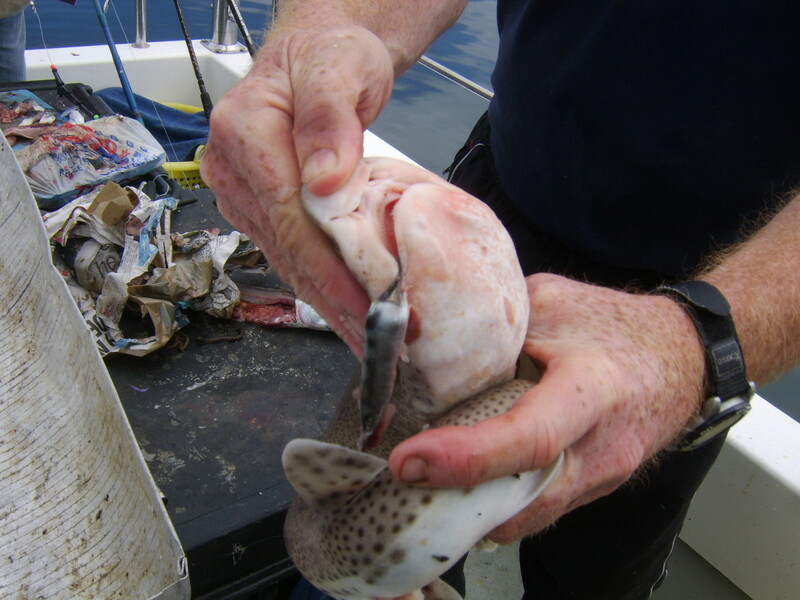 A wide variety of baited artificials were also used. What we also did was ask the skipper to take us firstly to a mark where we could catch fresh mackerel to top up our bait supplies. 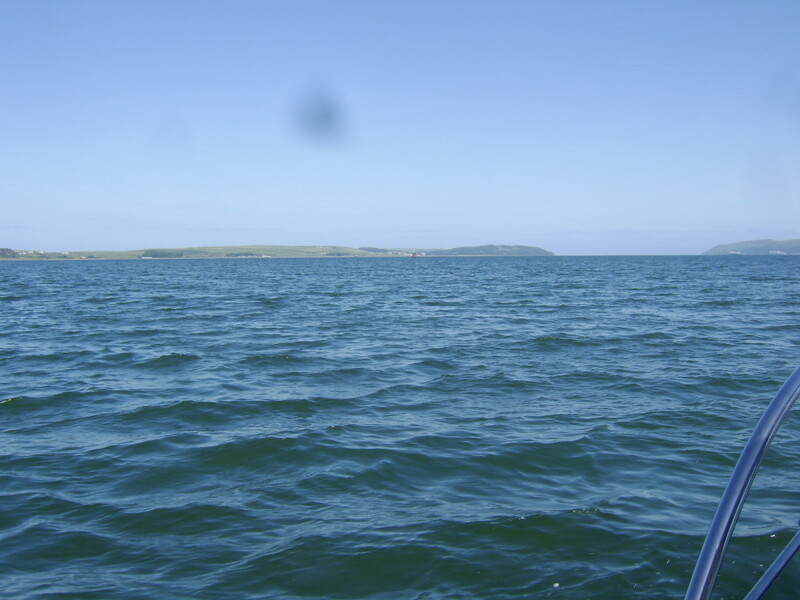 He did so with unerring accuracy and around fifteen minutes out, we were pulling in mackerel from a mark close to the green buoy in the picture. 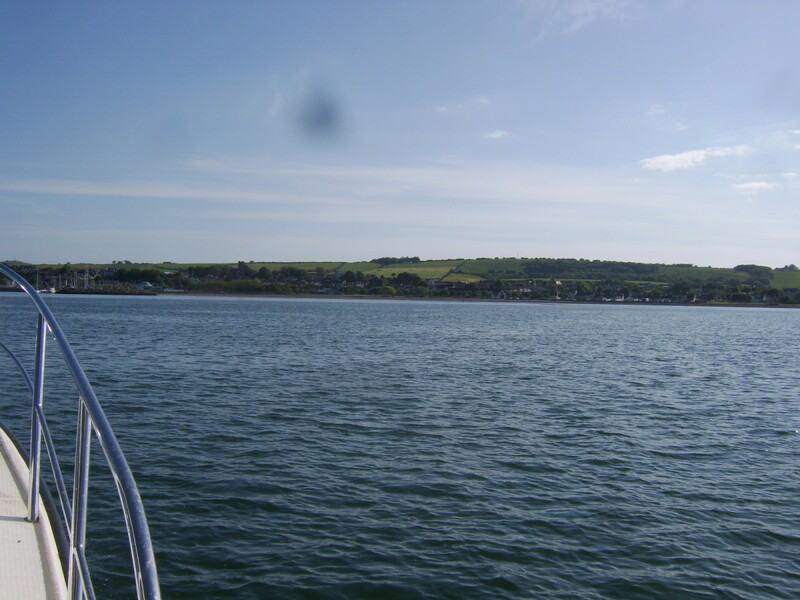 It was intended that we would return to this mark on the way in to catch more mackerel to take home but unfortunately they had largely moved on by that time and only two further fish were caught. 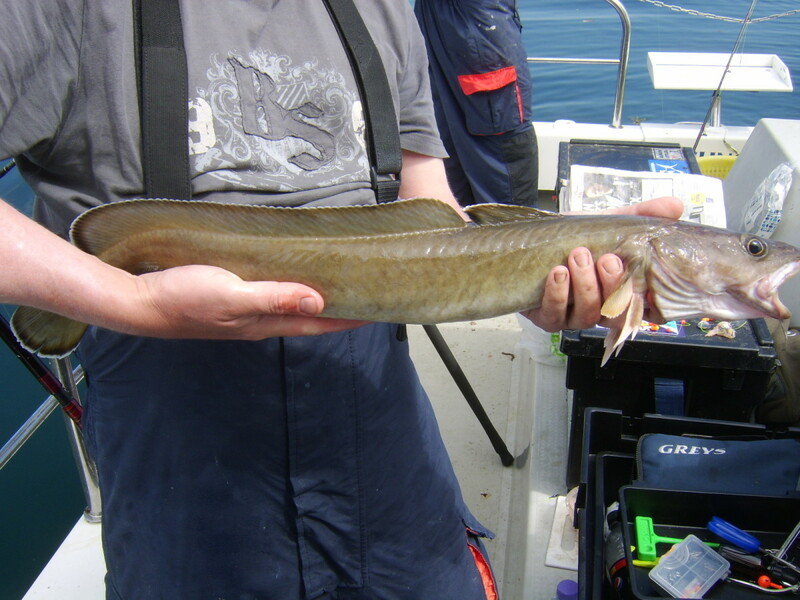 This fishing trip was deemed to be a species hunt, meaning essentially that the principal objective was to catch as many different species of fish as possible. Bearing this in mind, the skipper recommended that we spend the best part of the day fishing on the drift above an old wreck. 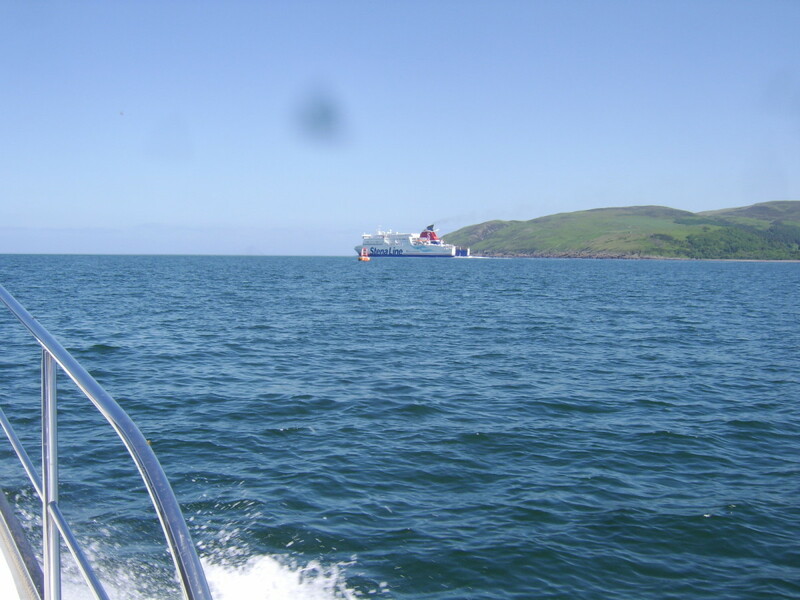 The wreck in question was about an hour's journey out, beyond Loch Ryan on the open sea. While no one of course wants to spend a large chunk of their fishing day simply travelling, the recommendation was totally sound and the time spent admiring the passing scenery was more than justified by the end result. The journey of course also afforded us time to fully tackle up and ensure everything was ready to go just as soon as we reached our intended destination. What's your usual priority when you go sea fishing? 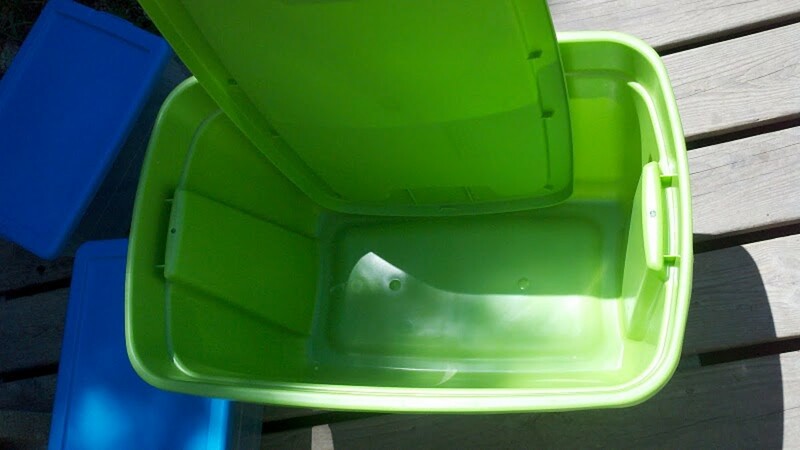 I just want to catch something/anything and not blank! When we reached our destination, the skipper took us just past it and allowed the boat to slowly drift over the submerged wreck. This was the pattern for the next few hours, with the boat being moved every fifteen minutes or so to allow drift by after drift by. It was no time at all before the rods started to bend and the fish started to come aboard one after after another after another. In all, there must have been the best part of a couple of hundred fish taken on the day, with a number of different species being caught. The mackerel aside, the majority of the fish taken were small pouting but there were a few haddock, whiting, pollack, bull huss, ling and ballan wrasse also brought to the surface. Perhaps the two most interesting fish of the day, however, were notable for very different reasons. 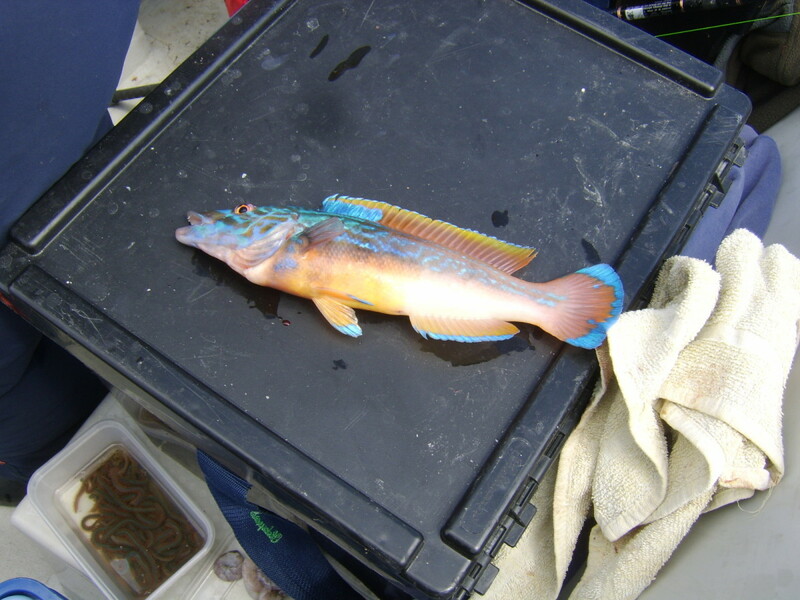 The cuckoo wrasse (see photo above) is probably the most colourful and beautiful fish caught in British waters. It looks more like something you would expect to catch in the warm waters of the Caribbean or some Pacific island paradise. In contrast, the sea scorpion or scorpion fish (see below) is an ugly creature. 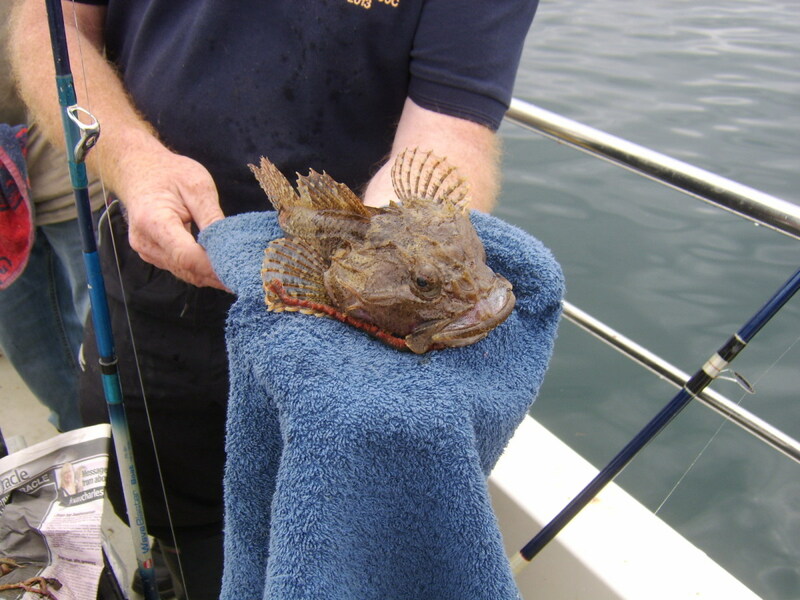 Though scorpion fish caught around the UK are not poisonous as many others are around the world, their nasty spikes are capable of inflicting serious damage to unprotected flesh. They should be handled with great care, with protected hands, and as little as is required to get them off your hook and back in to the sea. Ferry off the Starboard Bow! 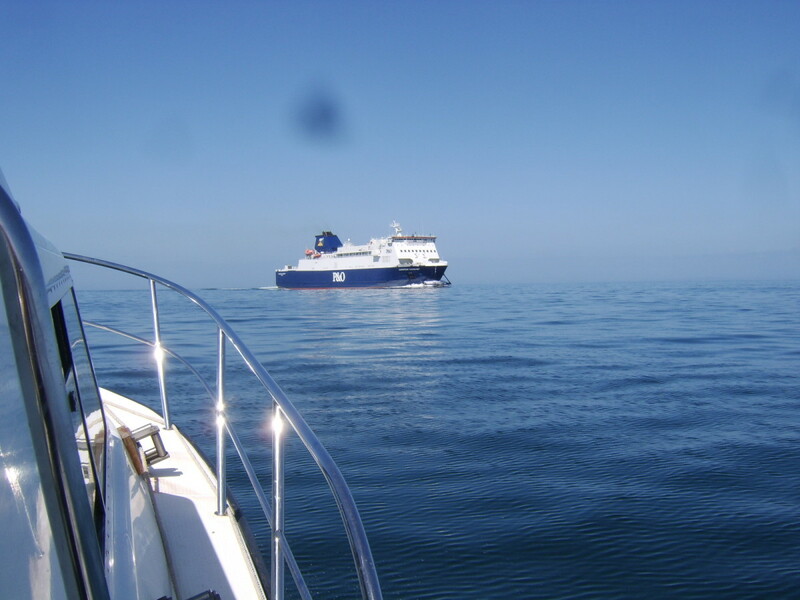 There was little more than a gentle ripple on the sea all day and the motion of the boat with the engine switched off was scarcely noticeable. 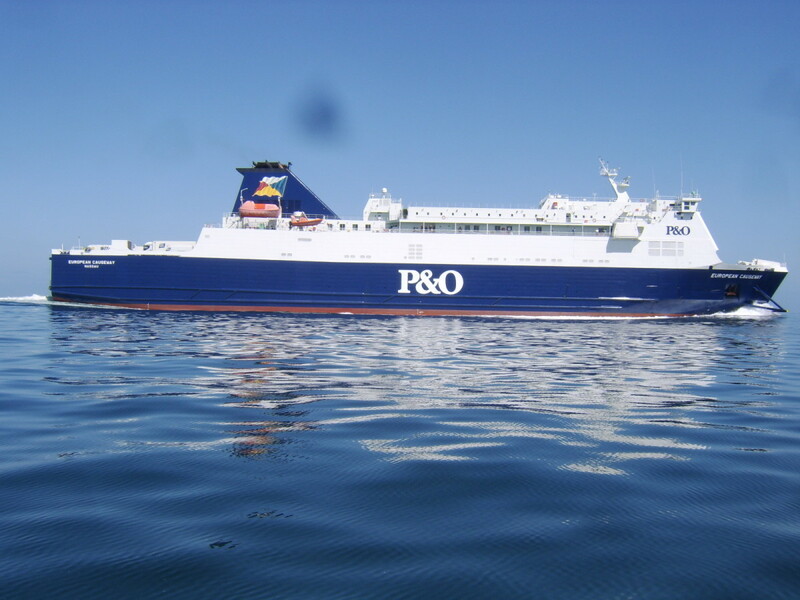 The only time we felt any real wave action on the water was when the P&O ferry en route from Larne in Northern Ireland to Cairnryan passed by to starboard. Although the ferry passed at a fair and more than safe distance, its wake still threw up a few waves. 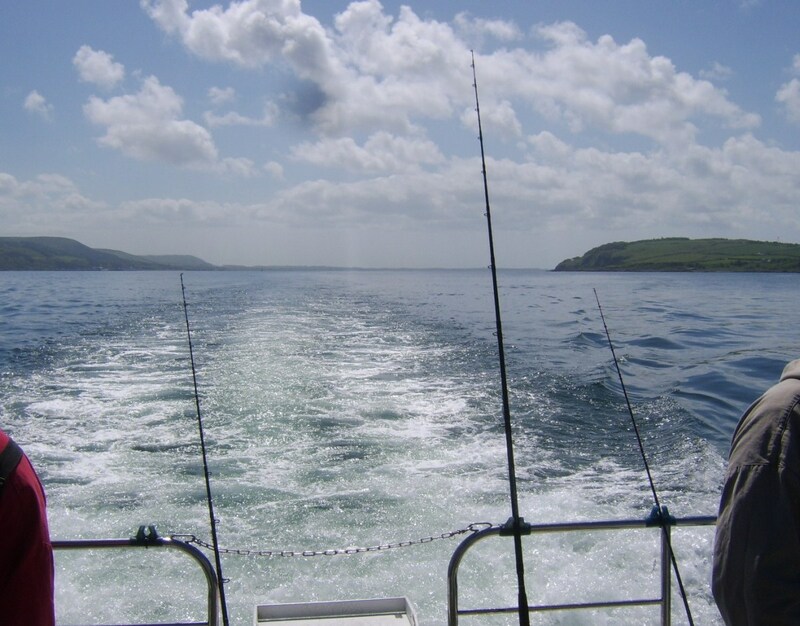 All good things come to an end but it is truly amazing how the time flies on a sea fishing trip, particularly on a trip which proved as successful as this one. 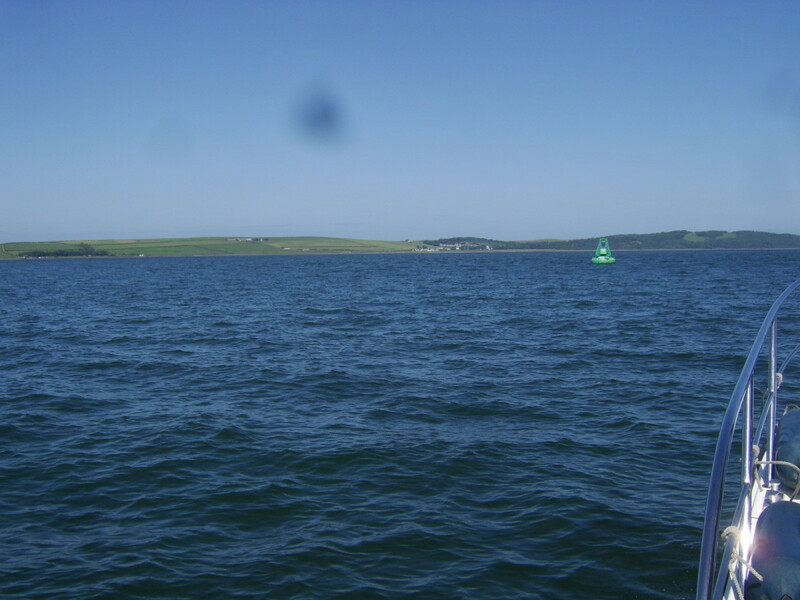 Several hours flashed by, though, and all too soon the time came to reel in for the final time and head back in to Loch Ryan. As mentioned previously, we did stop briefly to try for more mackerel - both to freeze as bait for future trips and for the pot - with very limited success before it was back to Stranraer Harbour to clear up, pack up and disembark. Hi, Carly. Yes, we ultimately did have a great day. When our bus broke down en route, however, we weren't even sure if we were going to get there. Fortunately, all turned out more than well. Thanks for reading and commenting. I loved all the details and photos in this hub. It looks like you had a great day for fishing. Thank you, teaches12345. I'm glad you like the details. Hi, Nell. Glad you liked the details. At least you've got your trip to look forward to soon! :) Thanks for visiting. I do not fish, but I enjoyed your description of your trip. I would not have known to take the appropriate seasonal bait. You caught a couple of nice fish! Glad you enjoyed the trip, chef-de-jour! :) I have fished extensively around the UK (well, Scotland and England, to be precise) but never Scarborough for some reason. I'm sure the skipper you went out with in the 1970s would be a very different type of character from most skippers today. 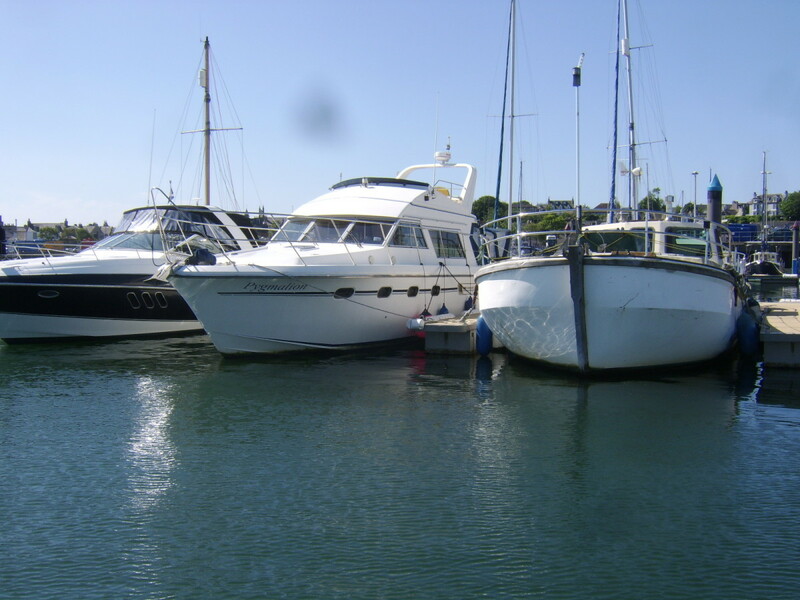 Sea legs take a bit of time to evolve but strangely enough - if you're not used to it - sometimes you get them without realising it and it's only when you step back on dry land and still feel the motion of the boat that you experience problems. Thanks for visiting and leaving your comment. I very much enjoyed this trip even if I am a landlubber at heart! 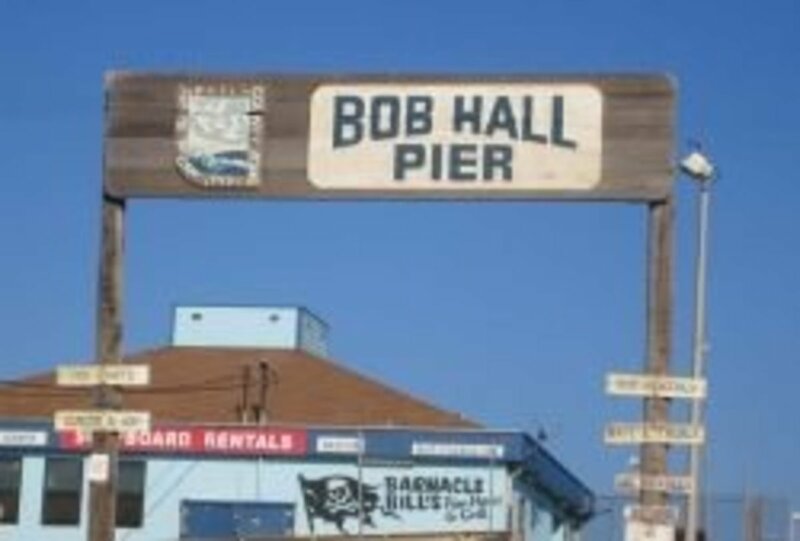 I recall my first and last trip out of Scarborough in the 1970s with a Barnacle Bill character who managed to teach us enough to catch a cod(?) each! My sealegs never quite evolved? Great photos and some useful information. Thanks.